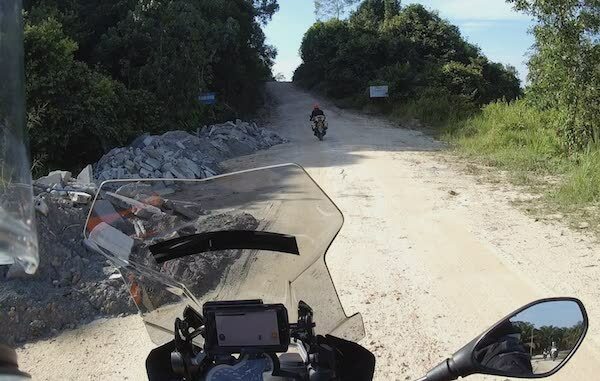 Difficulty Finding Neutral on BMW R1200GS LC? It Could be This! I purchased my 2014 BMW R1200GS Wethead pre-owned, and I’ve always accepted the clunkiness of the gearbox. In fact, some owners have described the gearbox of the R1200GS as “very industrial”. Also, from Day-1, I experienced difficulty finding neutral on the bike. When the bike is at complete rest, it would typically take cycling between gears 1 and 2 several times before settling on neutral. Very often, I would have to blip the throttle a little while applying a slight pressure on the gear lever, just to get it to slip into Neutral. In my recent road trip, I experienced occasional difficulty in changing gears – especially at low’ish speeds. When clutched in, the gear lever would sometimes refuse to shift – seemingly “stuck”. The feeling’s exactly like trying to shift down in gear 1, or trying to shift up in gear 6. It’s only with a slight blip of the throttle would the gear lever then move into the intended gear. 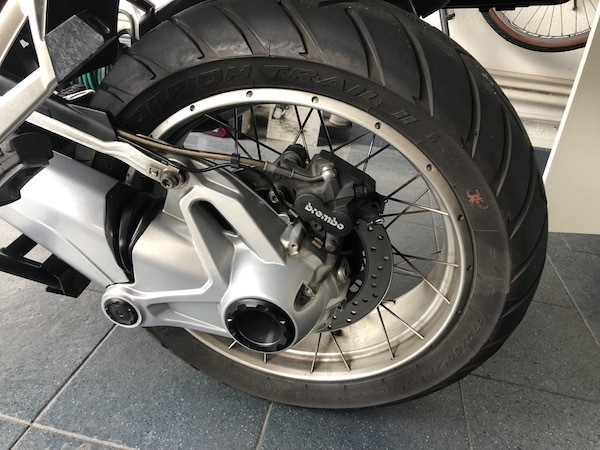 Author sgBikerBoyPosted on 8 September, 2018 12 September, 2018 Categories Bike Maintenance, BMW R1200GSTags clunky gearbox, difficulty finding neutral, finding neutral, R1200GS clutch13 Comments on Difficulty Finding Neutral on BMW R1200GS LC? It Could be This! Shortly after my rear brake pads replacement, I noticed that my front brake pads were wearing thin too. Worse, there was one particular pad (the RHS inboard pad) that was wearing out way faster than the rest and is almost worn down to metal! So, it’s time to replace them as a set! 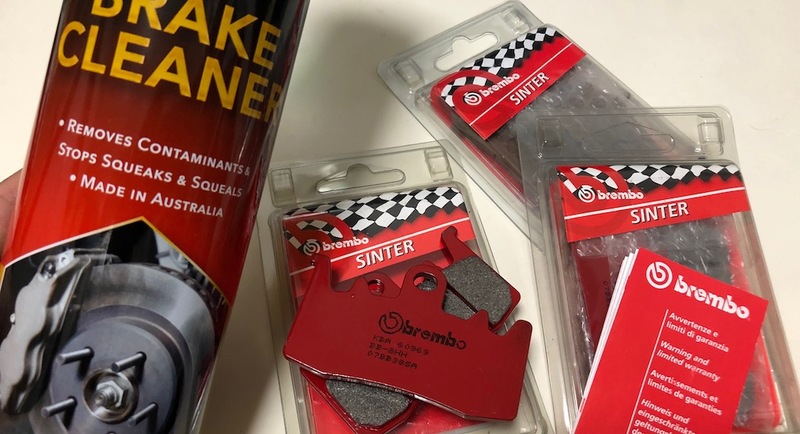 I got myself a set of Brembo SA sintered pads for the front (PN: 07BB38SA). This is supposedly an upgrade to the BMW OEM pads, which, incidentally, are also manufactured by Brembo. 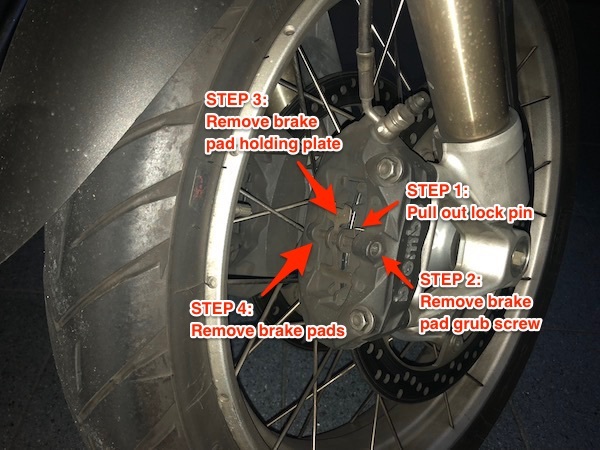 The 4-step procedure to removing brake pads – easy peasy! I’ve always loved Sundays – especially Sunday Morning Rides! 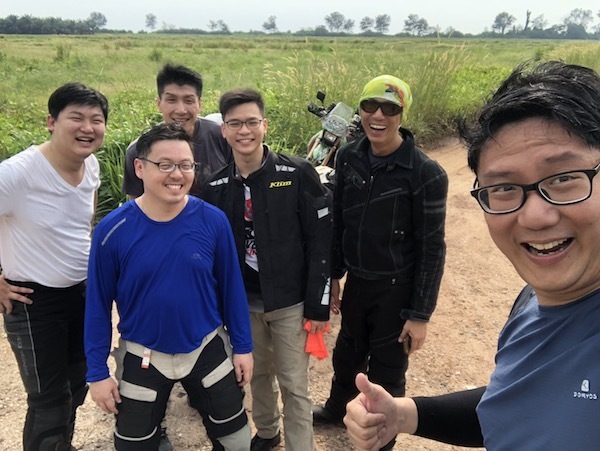 Today, we explore some of the off-road trails near Linggiu Dam. 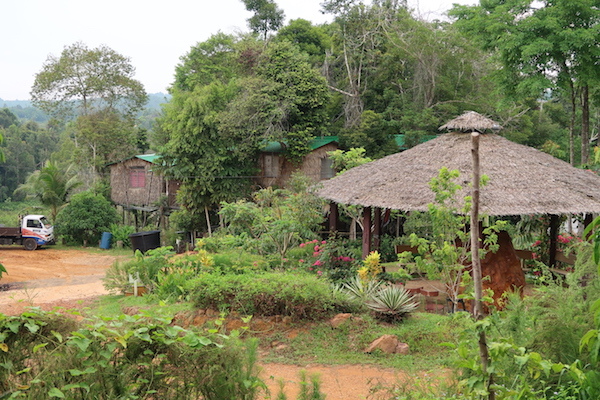 We last visited Linggiu in April this year and noted some of the nearby trails. They looked interesting enough to make us come back for some Sunday Morning Fun! 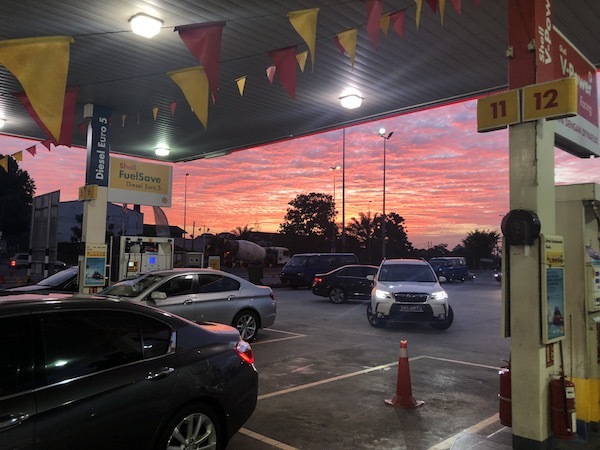 I was greeted by an absolutely beautiful morning sky just as I crossed the SG-MY border. The R1200GS LC chews up the rear brake pads faster than Cookie Monster gobbling up a jar of cookies. It’s been just over 10,000km and the rear brake pads have been almost completely ground down. Granted, I’ve taken the bike on some serious twisty roads and had a ton of fun. Now, it leaves me thinking if I should get some sintered replacements to last me a little longer before the next necessary replacement, or to stick to organic pads. Rear mud flap off. Getting the bike ready for rear brake pads replacement. 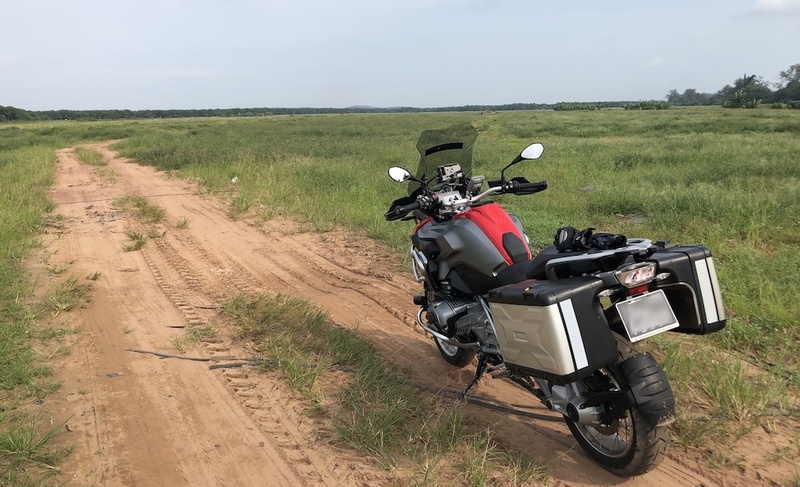 Author sgBikerBoyPosted on 5 August, 2018 7 August, 2018 Categories BMW R1200GS, Ride Report, Sunday Morning Ride2 Comments on Sunday Morning Ride – Some off-road FUN! My rear tire pressure sensor has been intermittently acting up for some time now. And of late, it has been occurring more frequently. 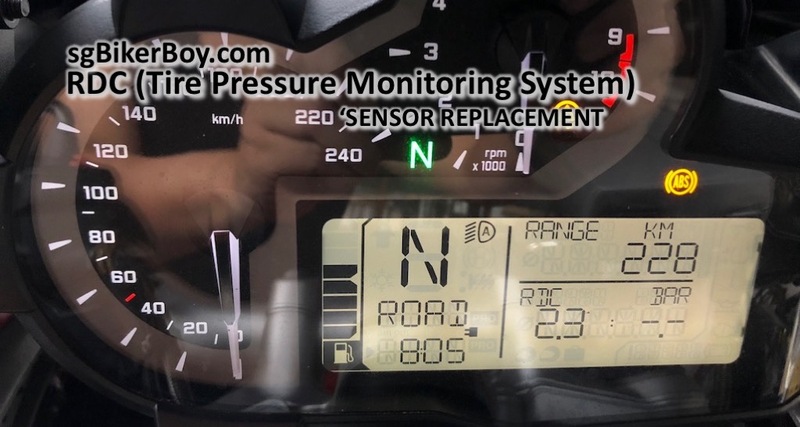 BMW calls it the RDC system (Reifendruckkontrolle in German, or Tire Pressure Monitor), and from my online research, most sensors on the R1200GS go around the 3-4 year mark. 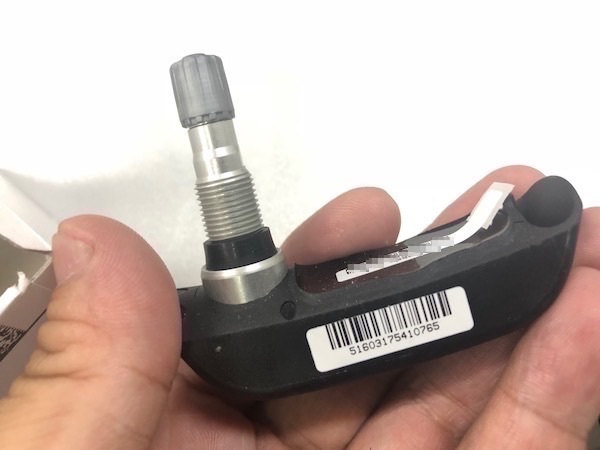 RDC Sensor (PN:36318532731) – $155 from IGN. Stopping along Jalan Sawah for a photoshoot. Got to test out my lil’ flying toy this weekend! 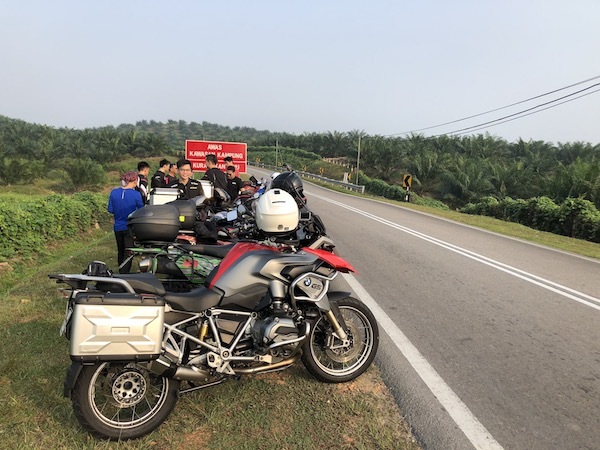 And since it was just 2 of us and we both had a little bit more time on our side, we decided to go a little further this SundayMorningRide and get ourselves lost in Tangkak. We had intended to head to Sedili for some soft-boiled eggs served in a coffee cup this Sunday Morning. 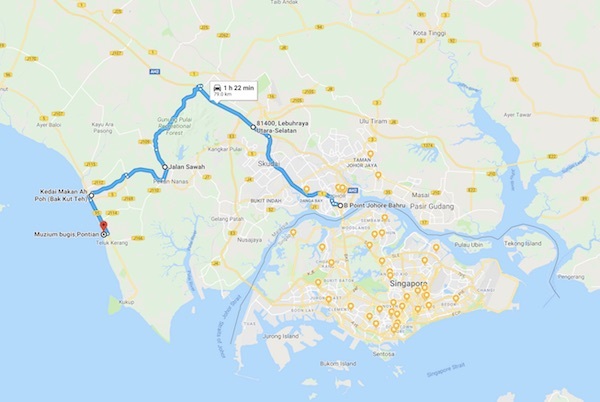 But we not only ended up NOT having any soft-boiled eggs, but we also discovered a nice hangout place in Desaru – the Koref Desaru Leisure Farm!